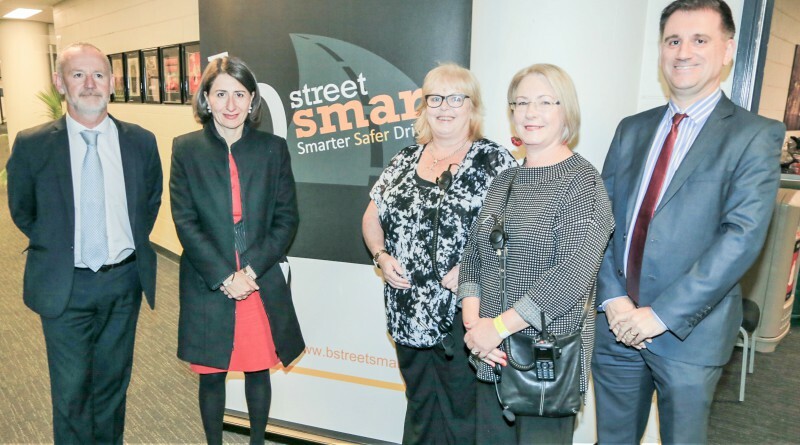 NSW director of the Centre for Road Safety Transport Bernard Carlton, NSW Premier Gladys Berejiklian, Westmead Hospital trauma nurses and bstreetsmart co-founders Stephanie Wilson and Julie Seggie, and Westmead Hospital general manager Andrew Newton. Westmead Hospital trauma specialists were on-hand today to help more than 26,000 high school students bstreetsmart on our roads. bstreetsmart co-founders and Westmead trauma nurses Stephanie Wilson and Julie Seggie watched on as students witnessed simulated crash scenarios and heard from road trauma survivors, as part of the road safety initiative, designed to encourage young people to make safer choices as a driver and passenger. NSW Premier Gladys Berejiklian and Minister for Roads Melinda Pavey welcomed the students to Sydney’s Qudos Bank Arena for the event’s official opening. Ms Berejiklian said education was key to keeping young drivers safe on the roads. Young drivers continue to be over-represented in road crashes. P-platers make up eight per cent of all driver licence holders, yet their crashes account for 15 per cent of all fatalities on NSW roads. Actress Jessica Lawrence ready for bstreetsmart live presentations. “Education is one of the best ways to prevent young people being killed or seriously injured in road crashes, which is why road safety is a mandatory part of the curriculum for NSW school students,” Ms Berejiklian said. Minister Pavey said 2016 was a horror year for road accidents, with 79 young people (aged 17 to 25) losing their lives and 2479 seriously injured. “Young drivers are most at risk in the first six months of driving solo on their p-plates,” she said. Nurses Stephanie Wilson and Julie Seggie said more than 145,000 NSW high school students had gone through the potentially life-saving program since it began in 2005. Students from more than 210 schools are expected to attend this year.